A common sight in most homes is ceiling fans. Ceiling fans, like most everything else, are not perfect. Sometimes even a brand new ceiling fan wobbles right out of the box. To make them as good as new, you simply have to use a fan balancing kit to eliminate the wobble. 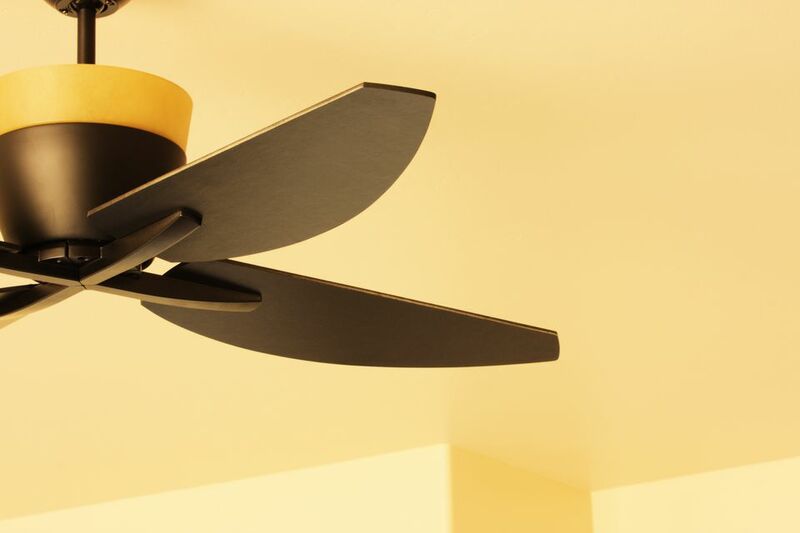 Whether you are putting up a new ceiling fan or one that you bought at a garage sale, there is always the possibility that one or more of the blade is a little out of kilter with the others, causing it to wobble. It may be that one blade is bent a little more or warped just a fraction and now is causing an annoying wobble. This hair-pulling event can be remedied by balancing the fan blades. And how do we do that, you ask? Well, it isn't simple, but with a little patience, investigation, and a blade balancing kit, you'll have the blades balanced like tires on a car. Blade-balancing kits include an adjustment clip (made of plastic), adhesive weights, and of course, a complete set of instructions to make the balancing act a snap! This is one task that is a trial-and-error task. Sometimes attempting this balancing act may seem like a lost cause, but with persistence, you'll likely be able to have your ceiling fan ​wobble-free and noise-free in no time at all! Simply follow these simple instructions and have a fan that works like brand new! First, attach the slotted plastic clip over the center of any blade and turn the fan on. Observe the wobble and then turn off the fan. Remove the clip and move it to the next blade. Now, once again turn on the fan and observe the fan wobble. Do these steps until you have tested all of the blades, keeping track of which blade has the clip on when the ceiling fan wobbles the least. Now that you have located the likely culprit, put the plastic clip on that blade nearest to the inner part of the fan. Turn on the fan and observe the wobble. See if the wobble has gone away. If so, you have solved the problem. If the blade continues to wobble, turn off the fan and move the plastic clip outwards, but only in small increments, then turn the fan back on to test it. Continue to do this until you find the fan's balanced sweet spot. Once you have found the balance spot, take one of the weights supplied and place it where the plastic clip balanced the fan. These weights are self-adhesive weight strips and are attached easily by removing the backing from the strip. Place the weight strip in the center, upper part of the blade where it is not visible from the ground. Now, remove the plastic clip and test the fan by turning it on again. The wobble should be gone, but there may be the need of additional weighting if the problem is better but not 100%. This can be a tedious chore but the reward is at the end. Remember, a balanced fan is a quiet fan!